Former state Sen. Gail Schwartz and U.S. Rep. Scott Tipton. 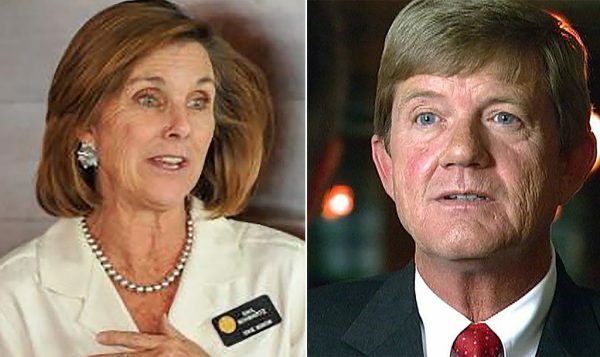 Colorado’s sleepy 3rd Congressional District – a mostly uncompetitive and politically off-the-radar race in recent years – has suddenly become much more heated in recent weeks, with incumbent Republican Scott Tipton pouncing on Democrat challenger Gail Schwartz for her misleading ad campaign and Schwartz also accusing Tipton of being duplicitous. Tipton claims Schwartz ads accusing him of wanting to sell off federally-owned public lands are outright lies because he’s added to the federal inventory of public lands during his three terms representing CD3 – a sprawling district that includes most of the state’s Western Slope and a swath of the southern Front Range around Pueblo. And he’s never sponsored or co-sponsored legislation seeking to sell or transfer large chunks of federal land to states or private companies. Schwartz counters that Tipton only reluctantly protected the minimum amount of federal land after he recognized overwhelming public support, and did so after forcing concessions to allow for mining and snowmobiling. The Denver Post reported in 2014 that Tipton’s 11th-hour amendments nearly derailed Tipton’s own Hermosa Creek Watershed Protection Act. Schwartz adds that Tipton has long stood in the way of the more comprehensive San Juan Mountains Wilderness Act introduced by his Democratic predecessor, John Salazar, who first introduced the 61,000-acre protection bill in 2009 before losing his seat to Tipton. And other wilderness proposals have been watered down because of Tipton’s lack of support, Schwartz said. But just because Tipton doesn’t support every single wilderness proposal doesn’t mean he’s an advocate for selling off public lands to the highest bidder or transferring control to the state, Tipton campaign spokesman Michael Fortney told The Rocky Mountain Post. “If you look at Scott’s record, he’s always said public lands should stay public,” Fortney said, adding the Cortez Republican does not support the public lands section of the Republican Party platform approved at the Republican National Convention in Cleveland in July. Schwartz argues federal land management is the only way to ensure that public lands in the West remain public and can be accessed for outdoor recreation and other limited and regulated uses. Tipton would like to see more coal mining and oil and gas drilling on federal lands in order to bolster local economies that have been hard hit by declining energy prices in recent years. While she isn’t opposed to leasing Forest Service and BLM land for oil and gas drilling and mining, Schwartz said it needs to be sited carefully in order to protect the environment for outdoor recreation, which she feels is a more economically sustainable than boom-and-bust energy extraction. 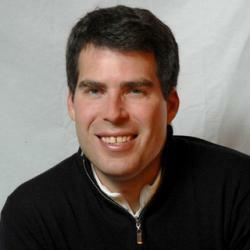 Tipton advocates for a more diverse array of uses for public lands. Schwartz launched her campaign last spring by accusing Tipton of selling out to his biggest donor to promote oil and gas drilling in the highly controversial Thompson Divide area – an accusation Tipton brushed off as political grandstanding. “You don’t kill the golden goose, because his approach to public lands is bought and sold by his special interests,” Schwartz told The Rocky Mountain Post. The former state senator from Crested Butte also accuses Tipton of lying in his ads about her record on energy industry jobs that the congressman claims she killed by supporting renewable energy policies in the state legislature. Market forces such as less demand for American coal in China and the low cost of natural gas are the main reason Colorado’s coal industry is in decline, Schwartz said, not her efforts to build the state’s renewable energy sector and improve Colorado air quality. Tipton counters that Schwartz-sponsored bills that passed in the state legislature and inordinately favored renewable energy sectors such as wind and solar rather than supporting long-standing Colorado coal-mining and oil and gas drilling communities. “[Global] market forces, certainly they can play a role, but I think it would be disingenuous to say that government policy doesn’t also impact some of those outcomes when we’re looking at market forces and the costs associated with it,” Tipton said.